Mohanad Elshieky was granted asylum to live in the U.S. after fleeing his homeland of Libya. A Portland comedian was asked to show his papers and prove his citizenship while stopped at a Greyhound bus station in Spokane, Washington, according to his own account and government officials. Mohanad Elshieky isn't an American citizen — but the popular entertainer was granted asylum status after growing up in Benghazi, Libya, where he worked at a radio station that was firebombed. Green-uniformed officers with U.S. Customs and Border Protection pulled Elshieky and a few other riders off the Greyhound bus on Sunday, Jan. 27. 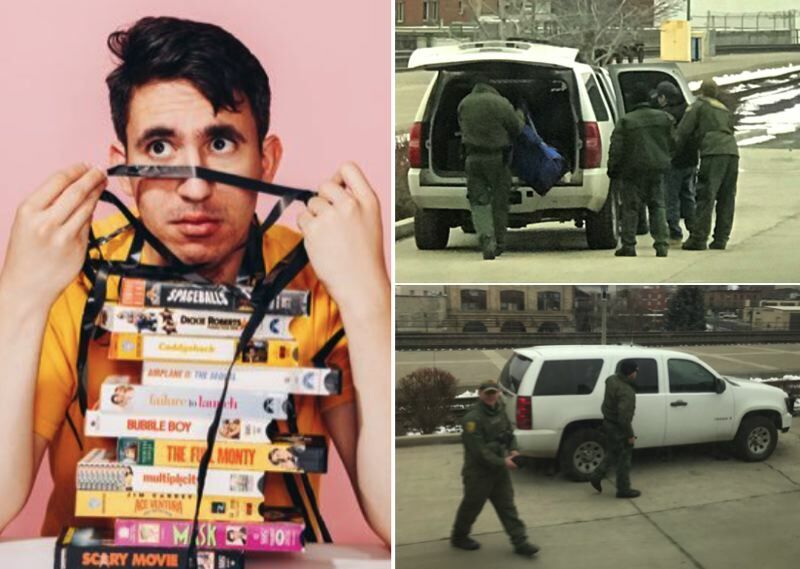 The Border Patrol officers questioned Elshieky's paperwork, but eventually verified his legal immigration status after calling headquarters. Elshieky's report on the incident, which ended with the authorities letting him back on the bus after about 20 minutes, received 103,000 likes on Twitter. Dragnet searches for undocument workers aren't a new phenomenon in Spokane. The Spokesman-Review newspaper reports that Border Patrol agents have arrested about 200 people at the Spokane Intermodal Center since 2013, spurring attempts by the local City Council to limit the feds' authority. For his part, Elshieky says the experience left him feeling like an outsider, even after five years in the United States. "To be honest, I have never felt as terrible as I did today. I have never imagined that I would have to go through this," he wrote. In a statement provided to Willamette Week, a CBP spokesman confirmed that agents stopped Elshieky. The spokesman said Elshieky only provided the officers with an Oregon driver's license and an Employment Authorization Card. All adult immigrants are required by law to carry documents that prove their legal status, such as an I-94. "Mr. Elshieky was allowed to board the bus and continue his travels without delay," he noted. "These (enforcement) operations serve as a vital component of the U.S. Border Patrol's national security efforts."